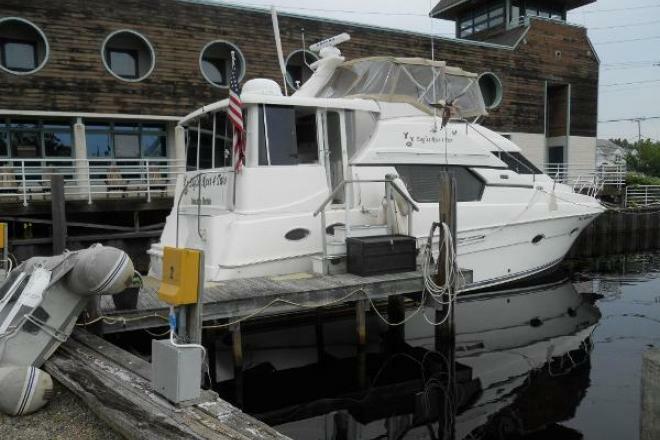 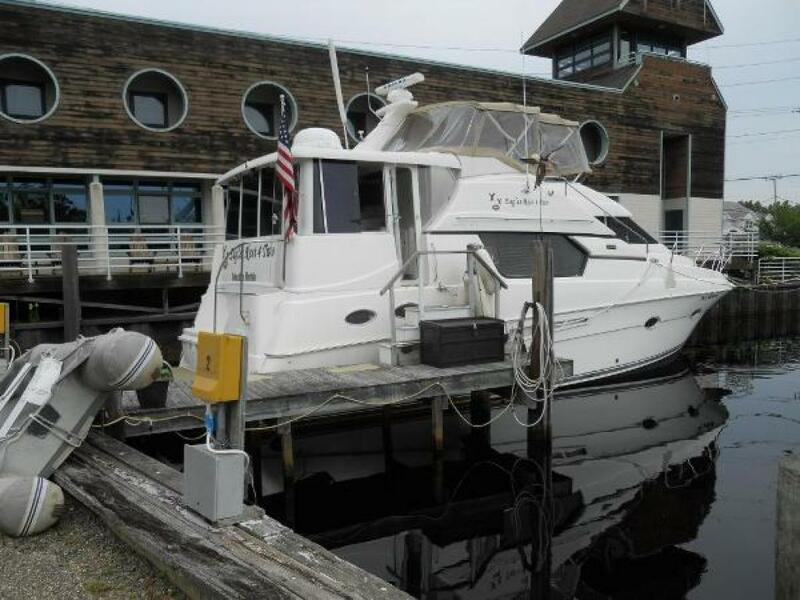 This dealer has 1738 boats listed on boatcrazy.com. 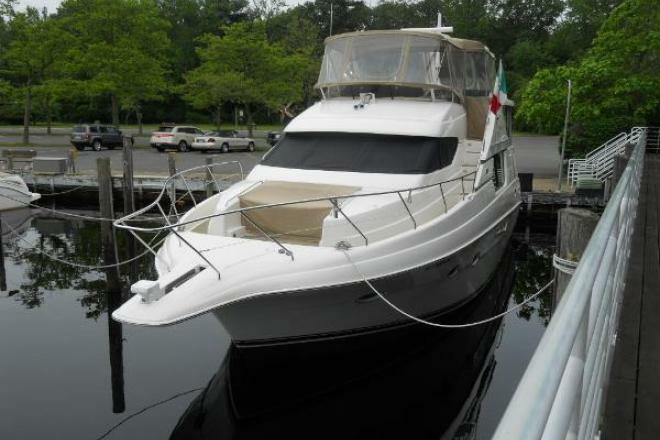 Please call owner Paul at 908-692-6258. 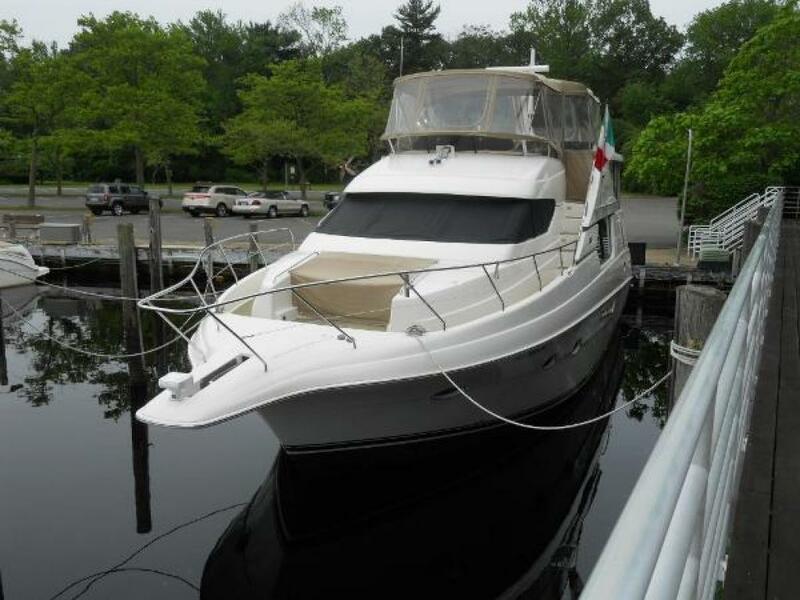 Boat Location: Forked River, New Jersey. 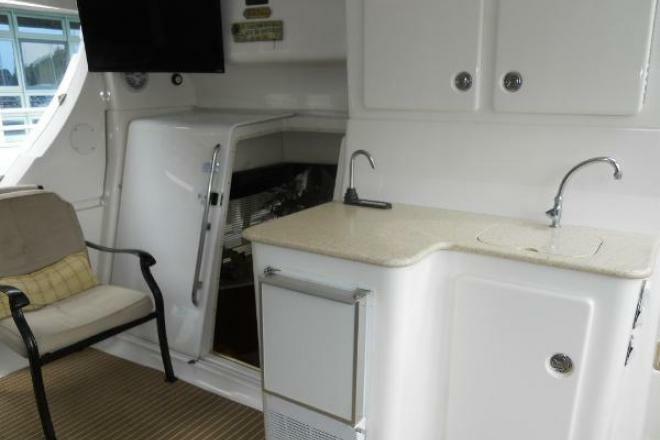 TWIN CUMMINS 430'S / 3-STRM / 2- HEAD / MANY UPDATES. 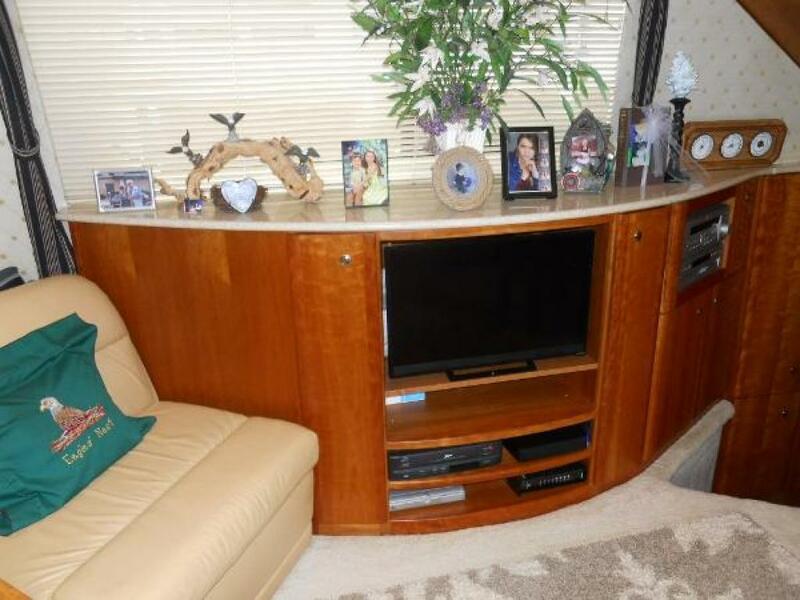 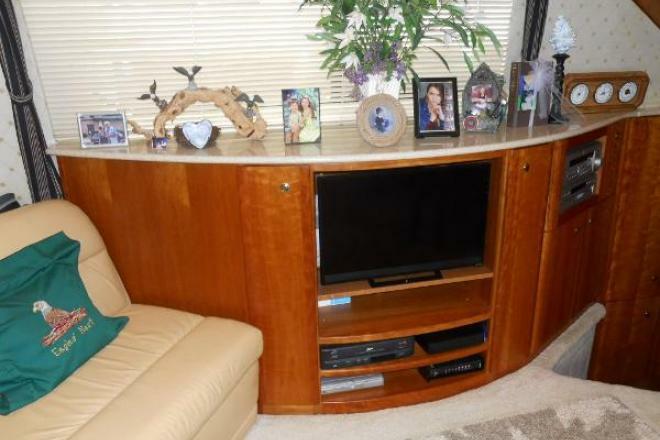 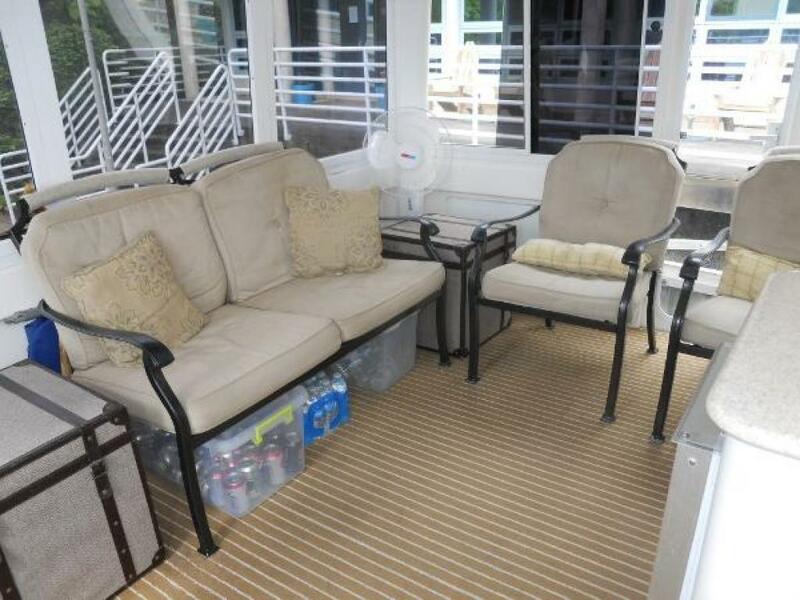 PROFESSIONALLY MAINTAINED VERY, VERY CLEAN! THE INNOVATIVE DESIGN OF THIS MOTOR YACHT PROVIDES A THREE STATEROOM, SPLIT-PLAN FLOOR PLAN WHICH AFFORDS MAXIMUM PRIVACY FOR OWNERS AND GUESTS ALONG WITH SPACIOUSNESS NOT FOUND ON MUCH LARGER YACHTS. 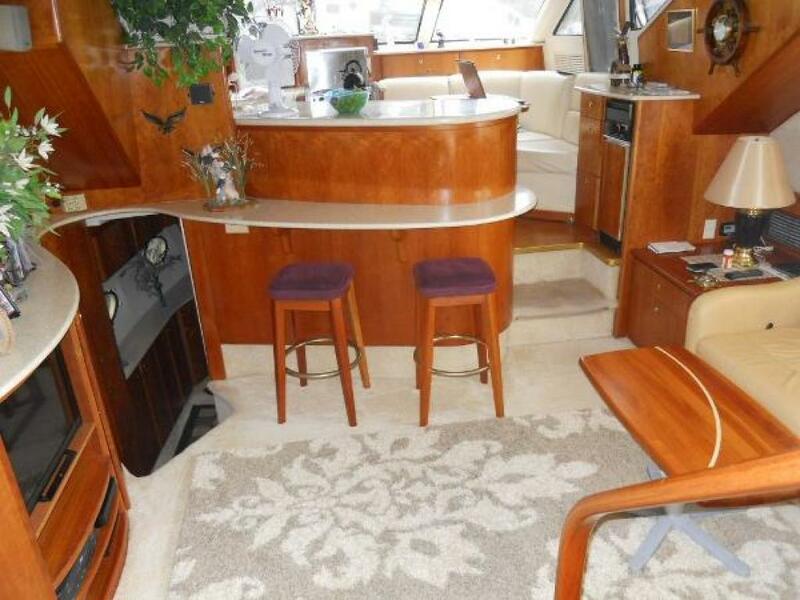 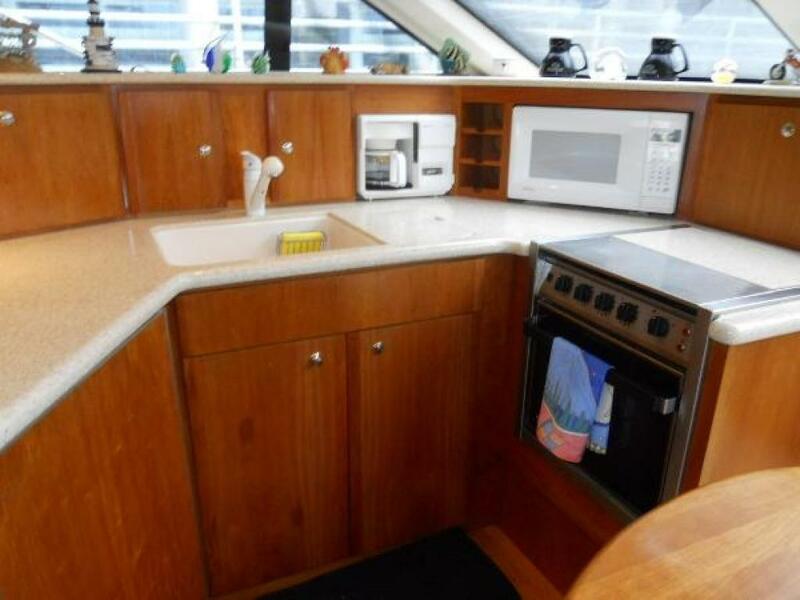 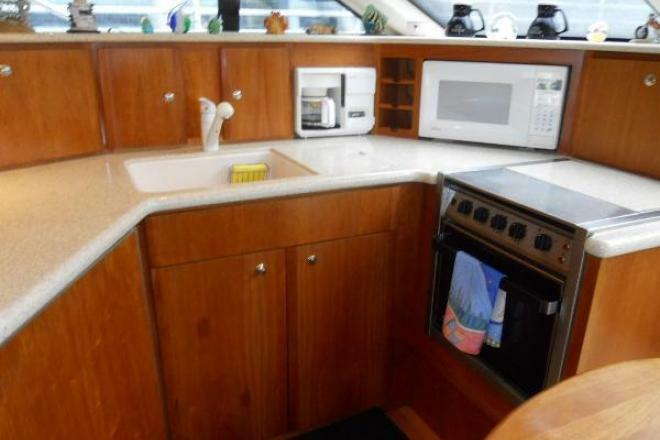 HER UNIQUE GALLEY AND DINING AREA ARE IN A "SKY LOUNGE" SETTING WITH WATER VIEWS WHILE DINING. 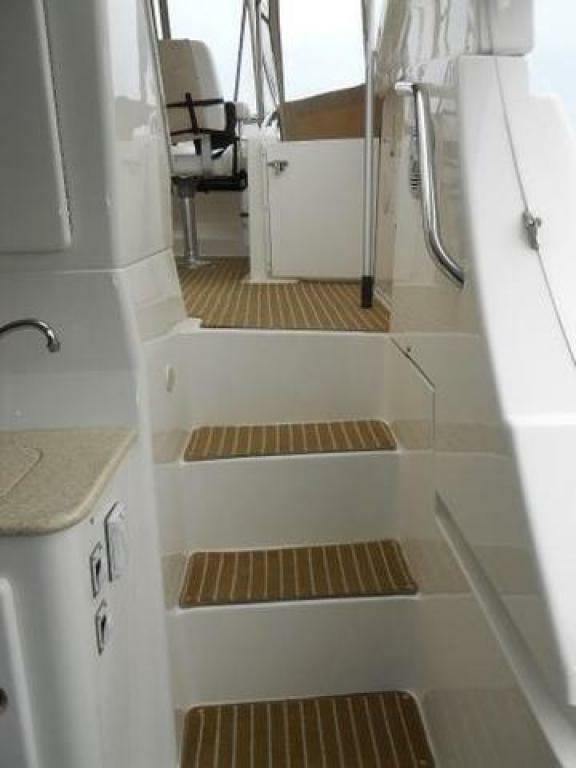 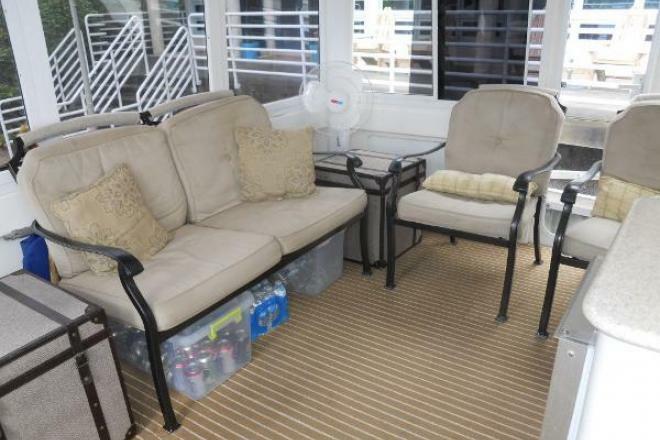 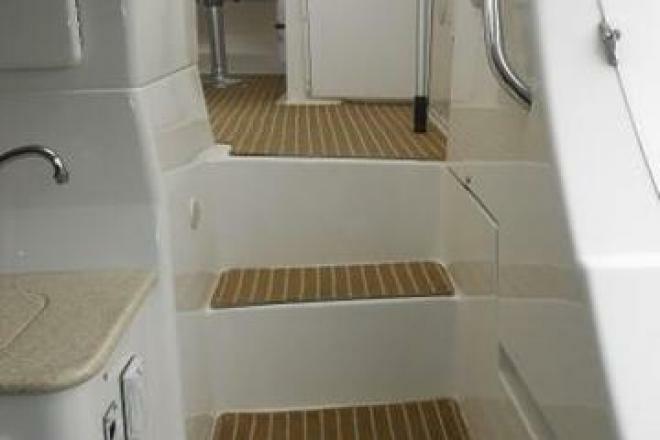 THE "SIDE-WALK" DECK DESIGN, A TRADEMARK DESIGN OF SILVERTON, PROVIDES EASE OF ACCESS AROUND THE YACHT FOR YOUNG AND OLD ALIKE IN A SAFE MANNER WHILE ALSO ALLOWING FOR A FULL-BEAM SALON. 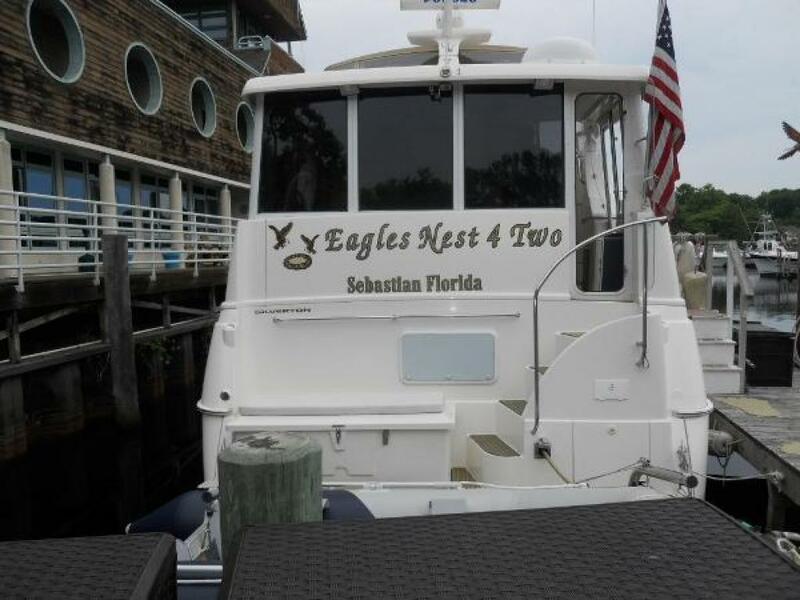 "EAGLES NEST 4 TWO" IS TRULY ONE TO CONSIDER FOR ANYONE SEARCHING FOR A LARGER 3-STATEROOM MOTOR YACHT FOR EITHER EXTENDED CRUISING OR A VACATION GETAWAY. 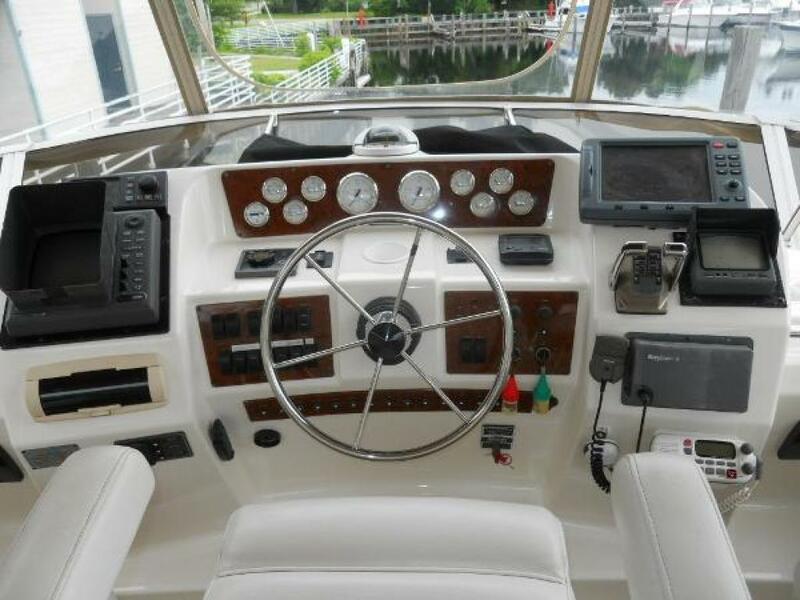 POWERED WITH TWIN 430 HP CUMMINS TURBO DIESELS THAT HAVE ONLY 862 HOURS ON THEM. 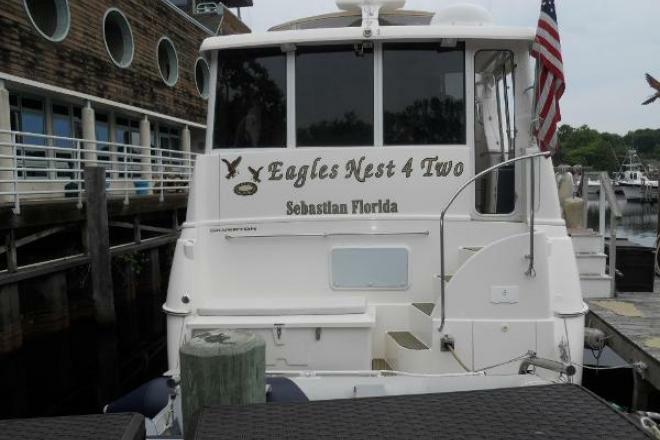 HER STARBOARD ENGINE WAS REPLACED IN 2012 AND HAS ONLY 180 HOURS. SHE HAS BEEN PROFESSIONALLY MAINTAINED AND IS READY TO TAKE YOU WNYWHERE YOU WANT TO GO. 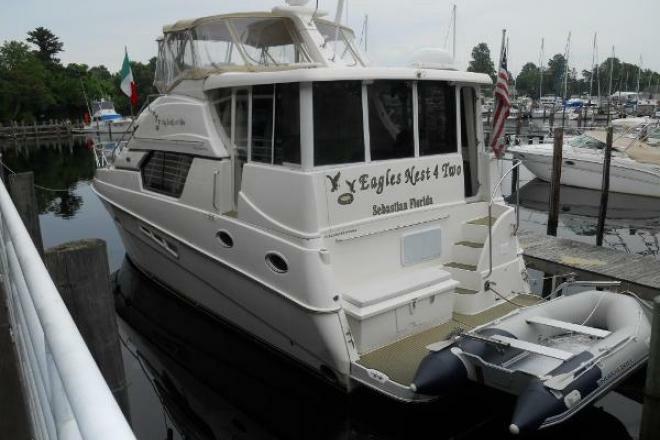 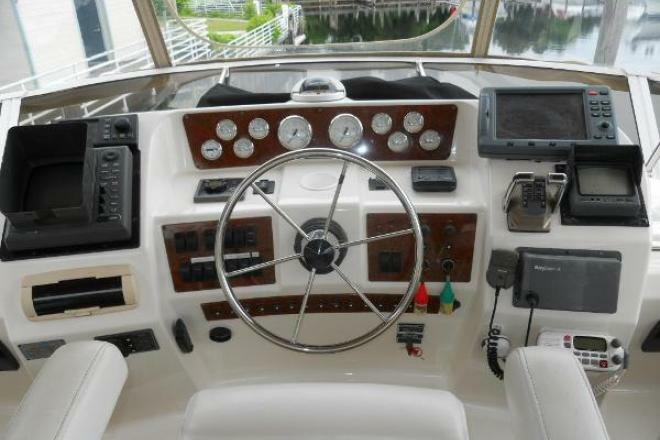 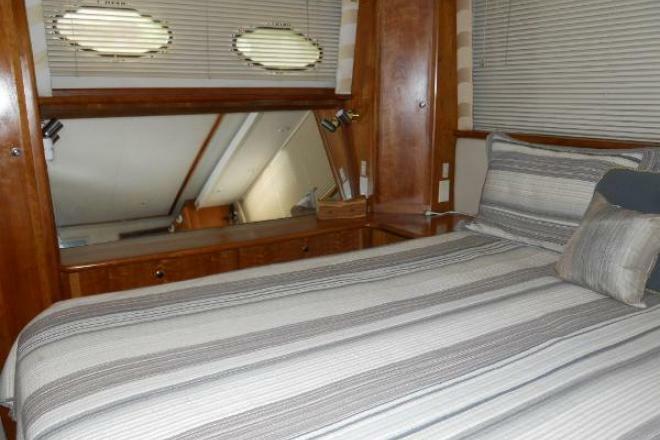 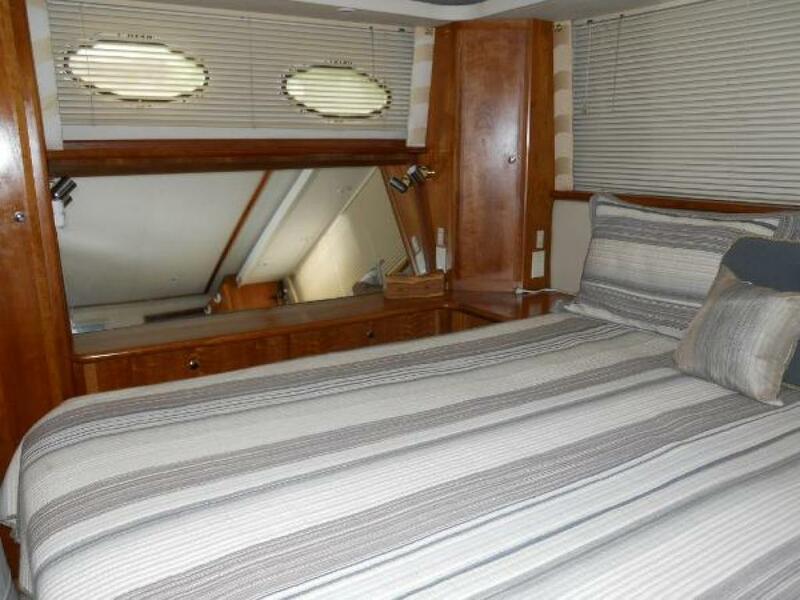 SHE HAS A COMPLETE ELECTRONICS PACKAGE, A NEWER ENCLOSURE ON THE BRIDGE DECK A NEW RIB ON DAVITS ON THE PLATFORM AND AN ENDLESS LIST OF AMMENITIES ONE WOULD EXPECT ON A YACHT OF THIS CALIBER EVEN INCLUDING A LIQUOR DISPENSER ON THE AFT DECK WET BAR. 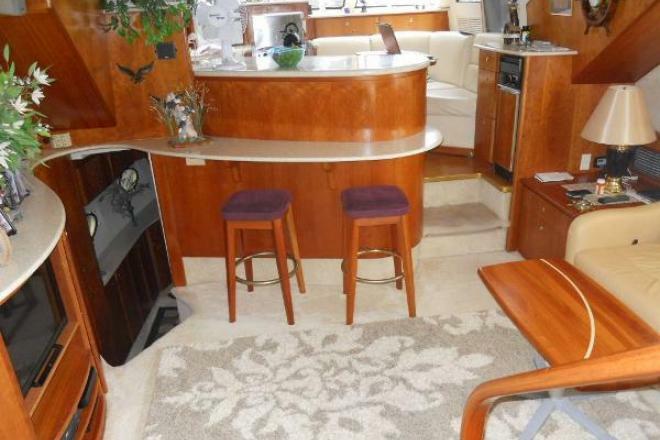 SHE HAS A PROFESSIONALLY DECORATED INTERIOR WITH CHERRY WOOD CABINETRY, COORDINATING CARPETING, WINDOW TREATMENTS, FABRICS AND DESIGNER ACCESSORIES.